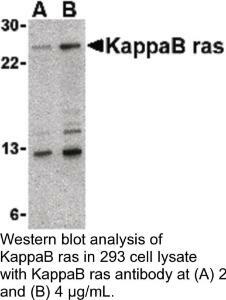 KappaB ras Antibody: KappaB ras-1 ( kappa B-ras-1) and kappaB-ras-2 are two small proteins that similar to Ras-like small GTPases that associate with I kappa B (I kappa B), an inhibitor of the transcription factor NF-kappa B. I kappa B exists in two homologous forms, I kappa B-alpha and I kappa B-beta, although I kappa B-beta contains a unique 47-amino acid region within its ankyrin domain. 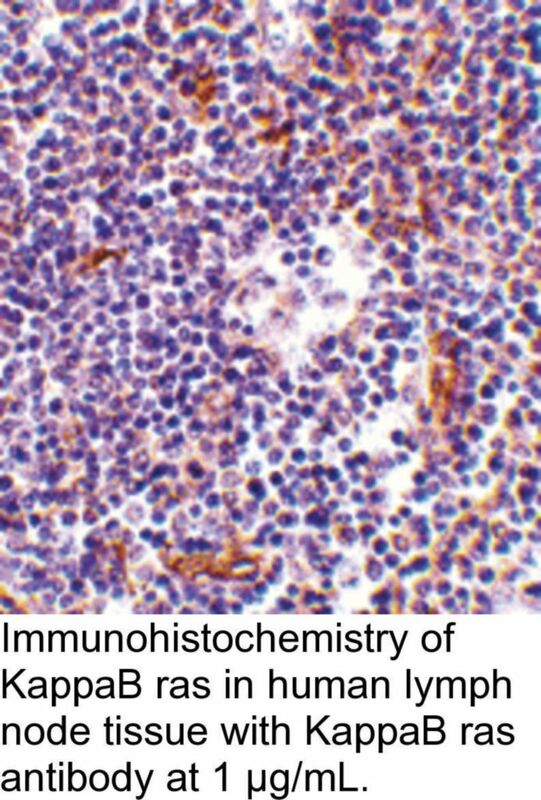 While inactive I kappa B-alpha-NF-kappa B complexes can shuttle in and out of the nucleus, I kappa B-beta-NF-kappa B complexes are retained exclusively in the cytoplasm. 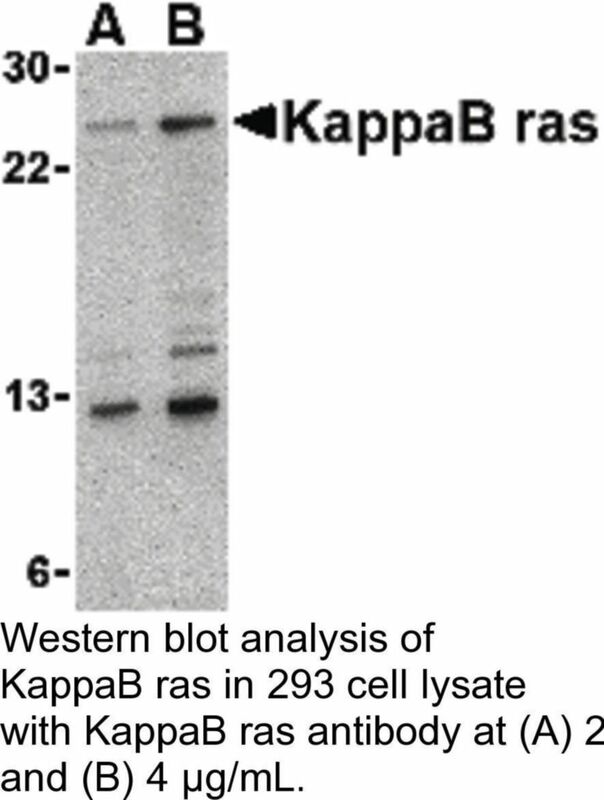 It is suggested that kappaB-ras proteins preferentially bind to the I kappa B-beta form through this unique insert within the ankyrin region, thus modulating the cellular location of I kappa B-beta and regulating the rate of degradation of I kappa B-beta. 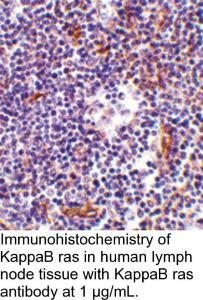 This antibody detects both kappaB-ras1 and kappaB-ras2.